The BelKraft 6000 High-Flow Ceramic Water Filter, is our newest product from the brand synonymous with top quality drinking water. This new, high-flow filtration 6 element filter module fits our Big Blue Housing. 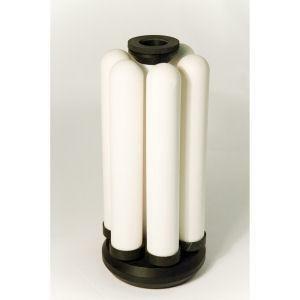 Now you have the option of replacing your standard filter with this patented ceramic filter module. While the BelKraft 6000 filter candles may be cleaned for extended life it is recommened to change all the candles at least once per year for optimum performance. We recommend using a sediment pre-filter along with the BelKraft 6000 for well water applications.